Autoglym Bodywork Shampoo Conditioner removes traffic film and greatly assists in preserving the finish and appearance of your vehicle by leaving a glossy barrier. 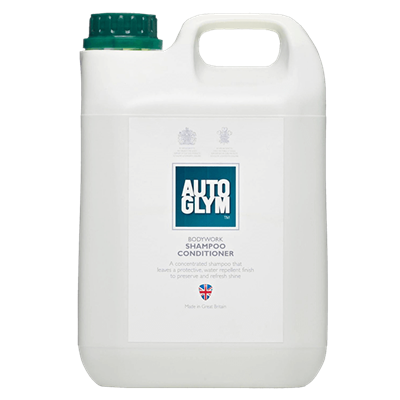 Autoglym Bodywork Shampoo Conditioner removes traffic film and greatly assists in preserving the finish and appearance of your vehicle. 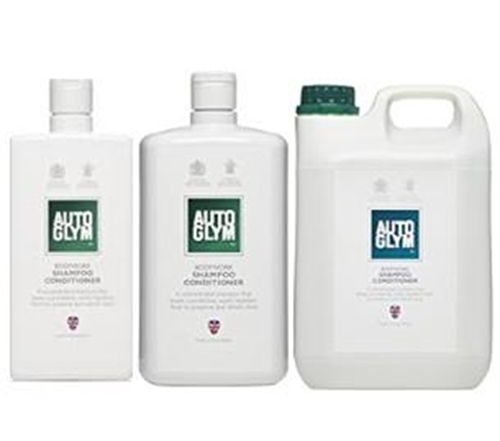 Autoglym Bodywork Shampoo Conditioner contains special additional ingredients which form a glossy water-repellent barrier to protect and extend the effect of Autoglym polishes. New Size : 2.5 Litre - Does up to 125 washes. We acknowledge that there are lots of car shampoos on the market, all priced accordingly. Most branded shampoos just require a capful in a bucket to be effective. It is far safer to wash your car yourself rather than take it to a car wash. Protect your paintwork! We have found Autoglym's Bodywork Shampoo to be a very popular choice and this comes from people who have tried other leading shampoos such as :- Dodo Juice Supernatural shampoo, Armour All - Wash and Wax, CarPlan Triple Wax Car Sampoo, Muc-Off Ubershine Shampoo, Turtle Wax Platinum Performance and last but no means least Sour Power!